New study analyzes remains of ancient Canaanites, finds modern Lebanese are 93% genetically similar. A new genetic study proves the modern-day Lebanese are descendants of the ancient Canaanites (Phoenicians). In the study, published in American Journal of Human Genetics, scientists managed to extract DNA from five people buried in the ancient city of Sidon 3,700 years ago and sequence their entire genomes. The Canaanites’ genetic material was found to be 93% similar to that of 99 modern Lebanese. This, despite the fact that the region was conquered several times over the course of history, and not always by close neighbors. The other 7% of modern Lebanese DNA originates from eastern Steppe peoples (modern-day Russia) and was not present in Bronze Age Canaanites or their ancestors. In addition, the Bronze Age inhabitants of Sidon, a major Canaanite city-state in modern-day Lebanon, have the same genetic profile as people living 300 to 800 years earlier in present-day Jordan. This evidence supports the idea that different Levantine cultural groups such as the Moabites, Israelites, and Phoenicians may have had a common genetic background, the authors said. Researchers also determined that the genetic mixing of the Levantine and Iranian nations happened between 6,600 and 3,550 years ago. Archaeologists at Sidon have been working for 19 years to unearth information about the ancient, but still inhabited, Lebanese city. So far, the team has found 106 Canaanite burials, with children buried in jars and adults in sand. He also said he was “pleasantly surprised” that they had been able to analyze DNA from 4,000 year old human remains buried in a hot and humid climate. 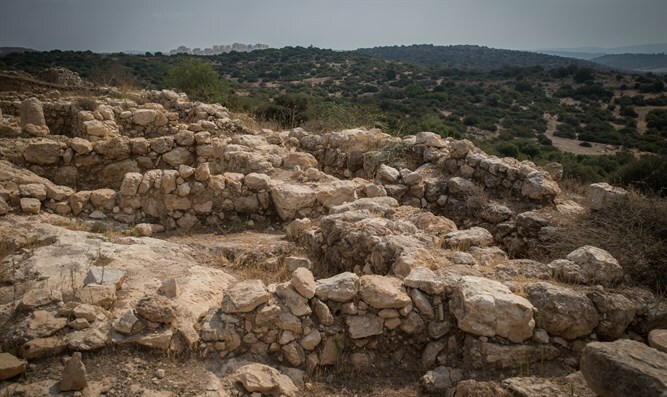 “For the first time we have genetic evidence for substantial continuity in the region, from the Bronze Age Canaanite population through to the present day,” co-author Dr. Claude Doumet-Serhal and director of the Sidon excavation said. “These results agree with the continuity seen by archaeologists. Collaborations between archaeologists and geneticists greatly enrich both fields of study and can answer questions about ancestry in ways that experts in neither field can answer alone. Ancient Canaan occupied all of modern-day Lebanon. Ancient Israel consisted of the southern extent of Canaanite settlement, as well as the southern portions of modern-day Syria and Lebanon, and nearly all of western Jordan. It did not, however, include the desert Arava region or Eilat.